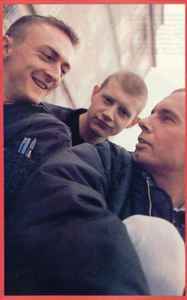 The band formed in York, England in the early 1980s (from the ashes of punk band No Swastikas), with Chris Dean (vocals/guitar), Martin Hewes (bass/backing vocals) and Nick King (drums). Chris Dean wrote for NME magazine under the name X. Moore. Dean and Hewes were members of the Socialist Workers Party. The band members wore skinhead clothing styles, and they helped inspire the redskin movement.